Jack Nicklaus was named the 2017 Golf Course Designer of the Year by the World Golf Awards. In a year where Nicklaus Design opened golf courses in three new countries—bringing the firm’s global count to 415 courses in 45 countries—legend Jack Nicklaus was named Golf Course Designer of the Year at the 2017 World Golf Awards, held Sunday night, Nov. 26, at La Manga Club in Spain. Nicklaus—nicknamed the Golden Bear—was the big winner at golf tourism’s event of the year, which welcomed the elite of the golf hospitality industry to an annual event that included three days of networking, programming, and playing the game. A record number of ballots were cast by leading golf industry tourism professionals from March through September. These were tallied alongside the votes of hundreds of thousands of golf consumers around the world, with the winners revealed at the Gala Ceremony. Golf Course Designer of the Year winner Jack Nicklaus is the founder of Nicklaus Design, the world’s leading golf course design firm. At the height of his unparalleled professional playing career—punctuated by a record 18 major championships—Nicklaus began dabbling in golf course design. In 1969, at the age of 29, Nicklaus debuted his first design, a collaboration with Pete Dye at Harbour Town Golf Links in Hilton Head, S.C. Now almost 50 years later, and maintaining a philosophy of working closely with clients, enhancing the natural environment, and creating courses that are both challenging and enjoyable for players of all levels, the Golden Bear has over 300 courses on his design résumé. Nicklaus Design also won big at the World Golf Awards. Courses that the firm has designed received 16 awards—11 in the course category and five in the hotel category. Included were Alabama’s Best Golf Course – Shoal Creek; Argentina’s Best Golf Course – Chapelco; Canada’s Best Golf Hotel – The Westin Bear Mountain Golf Resort & Spa; Colorado’s Best Golf Course – Castle Pines Golf Club; Hawaii’s Best Golf Course – Ocean Course at Hokuala; Hawaii’s Best Golf Hotel – Four Seasons Resort Hualalai; India’s Best Golf Course – Kalhaar Blues & Greens; Kentucky’s Best Golf Course – Valhalla; Mexico’s Best Golf Hotel – Four Seasons Punta Mita; Ohio’s Best Golf Course – Muirfield Village Golf Club; Oregon’s Best Golf Hotel – Pronghorn; Panama’s Best Golf Hotel – JW Marriott Panama Golf & Beach Resort (Buenaventura); Philippines Best Golf Course – The Masters Course at Manila Southwoods; Russia’s Best Golf Course – Tseleevo Golf & Polo Club; South Carolina’s Best Golf Course – Harbour Town Golf Links; and Tennessee’s Best Golf Course – Spring Creek Ranch. More than 100 Nicklaus Design courses have been ranked in national and international Top-100 lists by golf’s most recognized publications, and at least 145 Nicklaus Design courses have staged over 900 professional golf tournaments worldwide or significant national amateur championships. These include events on the PGA TOUR, the PGA TOUR Champions, the LPGA Tour and the Web.com Tour, among others. 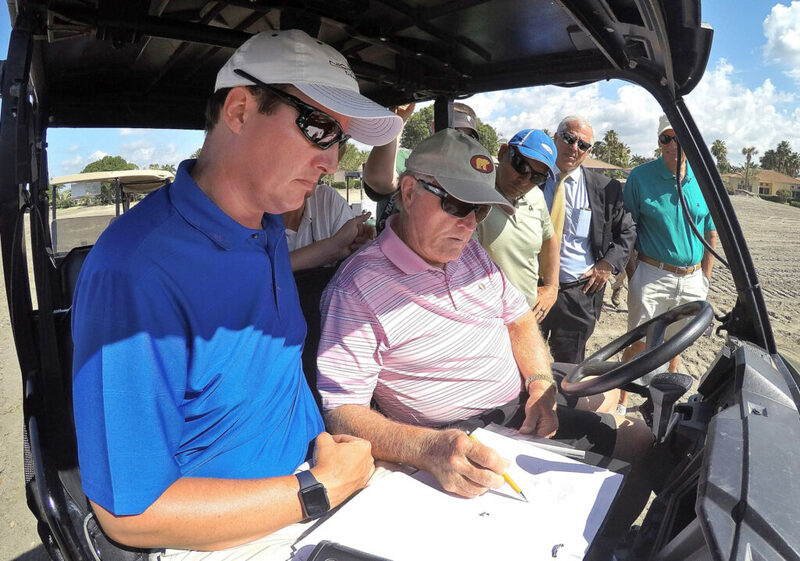 Nicklaus Design has more courses on the 2018-2019 PGA TOUR than any other firm, including TOUR stops to Muirfield Village Golf Club for the Memorial Tournament presented by Nationwide and the Champion Course at PGA National Resort & Spa for The Honda Classic. In addition to being named the Golf Course Designer of the Year in the 2017 World Golf Awards, Nicklaus was named GOLF Magazine’s Architect of the Year in 2014; GolfWorld’s Architect of the Year in 1993; and in 1999, Golf Digest named him the world’s leading active designer. In 2005, the Golf Course Superintendents Association of America recognized Jack with its highest honor, The Old Tom Morris Award. In 2001, he was named recipient of both the Donald Ross Award (American Society of Golf Course Architects) and the Don A. Rossi Award (Golf Course Builders Association of America), and was honored with the International Network of Golf’s Achievement in Golf Course Design Award for 2000-2001. Jack Nicklaus and Nicklaus Design also have been credited for elevating and enhancing the relationship between golf and luxury home communities. Since independent research began in the early 1990s, communities that feature a Jack Nicklaus-designed golf course as an amenity have resulted in the highest real estate value, the highest average home price, and the greatest velocity of home and lot sales. The survey also included the impact on membership fees, annual dues and greens fees. When all data was combined, a “net present value” was determined for each golf course designer, and Jack Nicklaus was the overall and overwhelming No. 1 choice. Nicklaus Design currently has golf courses under design or development spread across 22 different countries. The American Society of Golf Course Architects counts 28 past and present designers who have worked with Jack Nicklaus as members of the prestigious organization. World Golf Awards Managing Director Chris Frost said, “The fourth installment of the 2017 World Golf Awards has been the most successful to-date, welcoming industry leaders to Murcia, Spain, for a weekend of golf, networking opportunities and our fabulous Gala Ceremony. Votes are made by professionals working within the golf travel and tourism industry – senior executives, travel buyers, tour operators, agents and media professionals. Votes may also be cast by the public (golf tourism consumers). World Golf Awards is the sister organization of World Travel Awards, currently celebrating its 24th anniversary. The Nicklaus Companies is dedicated to promoting excellence in the game of golf, preserving its great traditions and growing the game. For nearly 50 years, the mission of the Nicklaus Companies has been to enhance the golf experience, and to bring to the national and international consumer, golf-related businesses and services that mirror the high standards established in the career and life of Jack Nicklaus. In 2007, Jack Nicklaus partnered with Howard Milstein to help further the growth of the company and to realize the full potential of the brands and branded businesses. Howard Milstein is Chairman of New York Private Bank & Trust, and is actively involved in the Nicklaus Companies as Co-Chairman along with Jack. Products and services include golf-course design, development of golf and real estate communities, and the marketing and licensing of golf products and services. Nicklaus-branded products have been marketed worldwide since 1962. The Jack Nicklaus and Golden Bear-branded lifestyle collection of products include: golf academies; ice cream; restaurants; beverages; beverageware; wine; home appliances; apparel; footwear; and golf equipment. Nicklaus Design, recognized as the world leader in golf course design, has created almost 415 courses worldwide, open for play in 45 countries and 39 U.S states. Jack Nicklaus has designed, co-designed or re-designed 300 courses around the globe, more than 100 of which have been ranked in various national or international Top-100 lists.